I was told a story about Jonathan Ive a few months ago that I’ve spent a lot of time thinking about ever since. 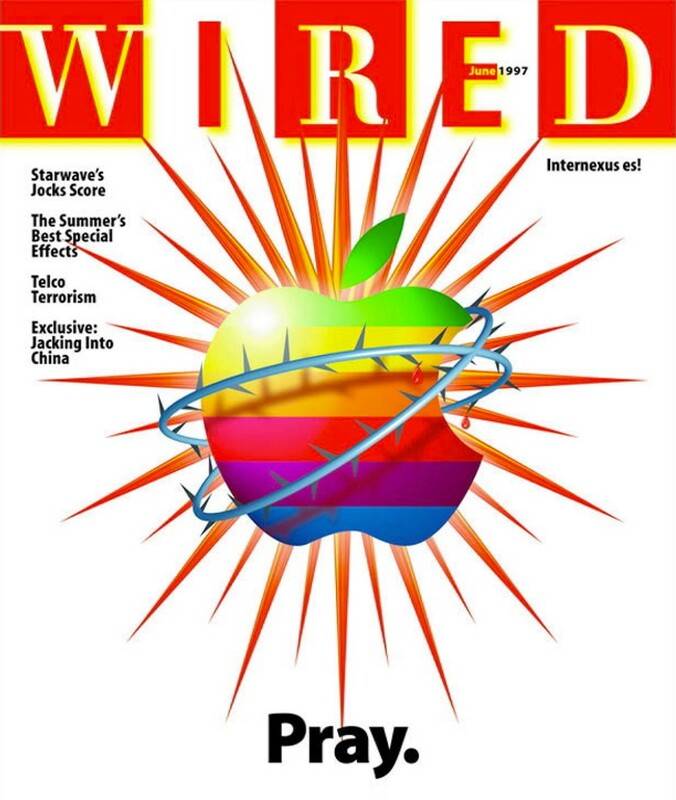 As the story goes, about 6 or 7 years ago a big company tried to recruit Jony Ive to run Design for them. Ive respectfully declined. In declining, he told them he had spent the previous ten years working hard to get Apple to a point where he was finally able to do the kind of work he’d always wanted to do, so he wasn’t about to walk away from that. He told them that he was just getting started at Apple. I don’t know how true this story is, but let’s assume some version of it is true. It seems insane to try to hire that guy, but I’m sure many companies have tried. Of course, so far none have been successful. If the story is true, it means that around 2008–2009 Jony Ive felt he was only “just getting started” at Apple. At that point in time the iMac was a bit thicker and less sleek than it is today, but not far off from it’s current form. Same for the Macbook Pro and the Macbook Air. The Apple TV was a couple years into its 1st generation, and the iPod Nano was already in its 5th. The iPhone 3GS came out that summer, and the App Store had roughly 75,000 apps. The iPhone 6 and the Watch were still several years off, but even without them, that’s an amazing body of work. Any designer would love to have even one of those products in their portfolio. But he was just getting started. Between ’92 and ‘97, three different CEO’s ran the company until Steve Jobs returned. Steve got the company back on track, but they weren’t profitable again until the early 2000’s. I can’t imagine Apple would have been a fun place to work during those years. That wasn’t just one or two tough years — every company has some of those — it was almost 10 rough years in a row. Ive and his team stuck together through some really tough times, and the rest is history. Ive has been at Apple for 23 years now. I doubt that it took 20 years for Ive to come up with the idea for the Watch, or to find the right design for it. For the past two decades, Apple and Ive have been carefully building a company that’s capable of building the Watch. That’s 23 years of finding talent, hiring the right people, building the right teams, developing relationships, investing in skills and technologies, establishing manufacturing and distribution, and proving out the products and business models. Ive’s patience to grow with Apple over the last two decades allows him to design the greatest products in the world today. Other companies have thought of building smart watches, only Apple is able to build the Watch. Last week, Dave Morin tweeted that the average tenure for employment at San Francisco right now is 15 months. I don’t know the source so I don’t know how accurate it is, but it sounds plausible. I’ve seen one report that tenure is as short as 1 year at companies like Google and Amazon, or 2 years at Apple. You can get some things done in 15 months, but not many things. Not big things. Not iPhone or Watch sized things. If you’re working for a tech company, there’s a good chance it didn’t exist 10 years ago. Or 5 years ago. Or maybe even a year ago for that matter. All these new companies are trying to figure out what they’re doing as they go. It’s hard to build a good product, but we have a good sense of how it should work and long it should take. We can draw the process and a schedule on a whiteboard. It’s what you trained to do. Building a great company is a lot harder; Building a great company that can build great products over and over and over is the hardest of all. There are a lot of opinions and ideas about how building a company should be done, but there’s no instruction manual. Every company is different, they change over time, and people are complicated. It’s political, it’s emotional, it’s messy. Sometimes all that company building stuff feels like it gets in the way of just designing the damn product. We all just want to focus on designing and making great things, but building the company is what will support you to do the work you aspire to do…and it takes a long time. When company stuff gets complicated, its easy to complain, to point at the people you think are responsible, or to just quit. But it’s your job to help. Your role in a company isn’t to just be the designer of products; Your role is to be a designer of that company, to help it become the company that has the ability to make the products you aspire to make. When you joined your company, you probably didn’t think you signed up to help build the company too, but you did. By helping to make your company a better place to work, you make it a better place to design and build things. If you believe that design is critical to the success of the company you’re working for, then you need to prove it everyday. Don’t just think about that one product you need to design in the next 3, 6, or 12 months. Consider the skills, relationships, and tools that you and your company will need for the next 2, 5, 7, or 10 years and start working on them now. Don’t just measure yourself by the output of your very next project; Measure yourself by how you’re improving quality over the course of your next 10 projects. Measure yourself by the quality of the projects of your peers. When you see problems, go tackle them, even if nobody told you to. Put it on yourself to make it better, so that your current and future colleagues won’t have to deal with that same problem. Your job is to be the shoulders that the next generation of designers — and perhaps your future self — at your company will stand on. Before I joined Twitter, I worked at Microsoft for 4 and a half years, and at Nokia for 4 years before that. When I left Microsoft, some of my colleagues gave me a hard time about leaving so soon. Friends referred to me jokingly as a “short timer”, at least a few times. At Microsoft it’s not uncommon for people to stay for 10 or 15 years, or more. While I was there, I was lucky to have the opportunity to work on Windows Phone and the “Metro” design language. I say ‘lucky’ because I happened to be at Microsoft at the right time. Bill Flora, one of the leaders of the Metro work, was at Microsoft for 19 years, and began playing with Metro ideas in products like Encarta back in 1995. It was the longtimers like Bill that built up the conditions at Microsoft to be able to begin doing good design work, over many years. Design and tech is growing incredibly fast, so there are no shortage of interesting things to work on. If you have a decent set of skills, you can have your pick of companies and projects to work on. You probably get a handful recruiter emails every week. Fast Company and Wired share stories highlighting new design opportunities every day. You’re in demand. It’s tempting to jump from thing to thing, and a lot of people do it. How many of us in a similar position as Ive in 1995 would have his patience to push through? I don’t know whether I have the kind of patience necessary to stay with one company for 20 years, but I assume that people who stay at companies that long don’t plan to from the beginning. I imagine that at some point Jony Ive was enjoying his work so much that he stopped paying attention to the years. What I try to do in my work now is to approach it as if I will be there in 20 years, still pushing. I think about the kinds of products I hope to be building in the next several years, and what capabilities my team and I will need to be able to build those products. As I work on projects in the near term, I try to make sure I’m also making investments in myself, my colleagues, and my team for the long, long term. Working this way helps to make the environment I’m working in continuously better; As it gets better, there’s more reason to just keep going. The distractions fall away. Who knows, maybe the next 20 years will fly by. If you knew you would stay at your current company for 20 years, what would you do differently, starting tomorrow?